Quick interaction, weather reports, sports updates, email checking, scheduling tasks and making lists, finding the specific places, and much more. Amid such hustle and urgency, we literally wish there should be a dedicated assistant who can offer dependable guidance wherever and whenever we need. However, not everybody can afford to have a paid personal assistant who can help perform their frequent everyday tasks. Life is moving at an immense speed, and agility is more than appreciated. Hence, the assistant must remain available at a given moment to offer immediate wisdom. Massive thanks to today’s benevolent technology, as we have the most evolved Artificial Intelligence personal assistants in the market. Knowing that having a Personal Assistant is the superior way to make life easier, Smartphone users can now have many options to choose the most suitable mobile app that makes perfect sense to their routine life. Driven by Artificial Intelligence (AI), these apps can transform your world like never before. Microsoft’s Cortana and Apple’s Siri have already ruled the digital Voice Assistant space for quite a while, but now Android users will not have to feel dismayed and disappointed any more. 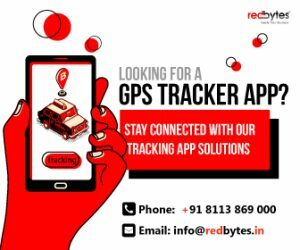 The experience provided by these real-time apps is so organic you may feel it is as real as a person next to you suggesting the most preferable solutions for you. 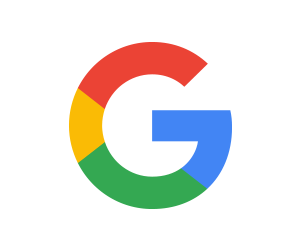 Google is the most trustworthy name in the market when it comes to experiencing the magic of today’s digital world. 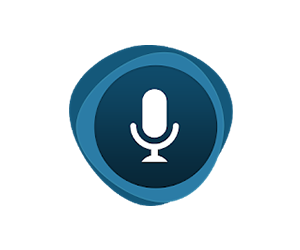 Google app is the remarkable intuitive Voice Assistant app for Android users. 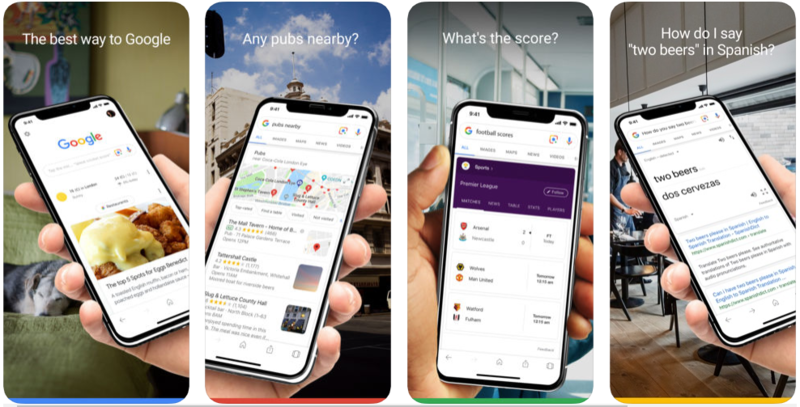 Offering great convenience and accurate information to users’ questions, Google app has boosted its reputation among the Google lovers and become one of the popular and preferred apps based on Artificial Intelligence. After proving high usability for decades, Google app is a massive challenge to Microsoft’s Cortana and Apple’s Siri. Google will process the feed immediately to present you the most accurate information aloud. Thus, you can conveniently derive all the updates on news, sports, weather, movies, and events using your voice. You can even enjoy the service while being offline. More you use the app, the better chance you have of receiving the most desired results. Jarvis is another coolest alternative to Apple’s Siri when it comes to Personal Assistant. It keeps you informed on almost everything you need every day: News, Weather, sports, calls, and text messages. With Jarvis, you can even perform unique actions such as attaching a reminder to a preferred contact so that you receive alerts when contacting them. 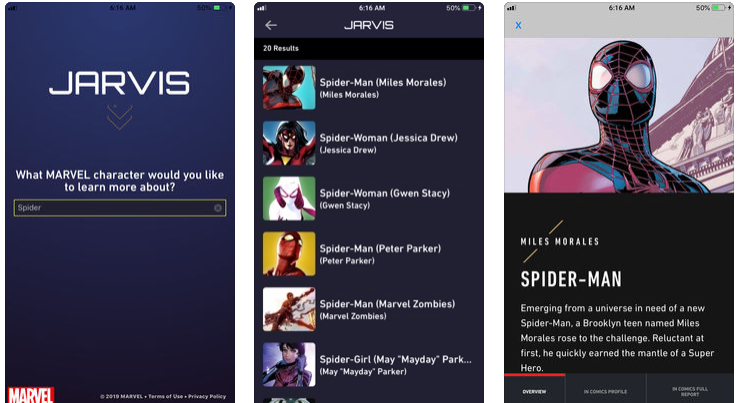 With a clear voice command, one can ask Jarvis to open Chrome browser or play with screen or activate its camera and interact with other in-built mobile software. You can even set operating hours based on your office hours and control its use from Smart watch. With so many offerings from one app, Jarvis makes for the quite interactive (and intelligent) Personal assistant app for Android users. Those who are using Windows 10 system or Windows phone must be familiar with Cortana. 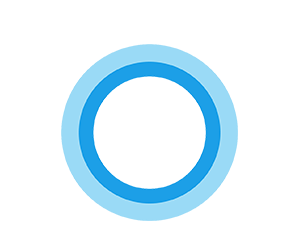 After being exclusive to only Windows users, now even Android users can download, install and use Cortana on their devices. 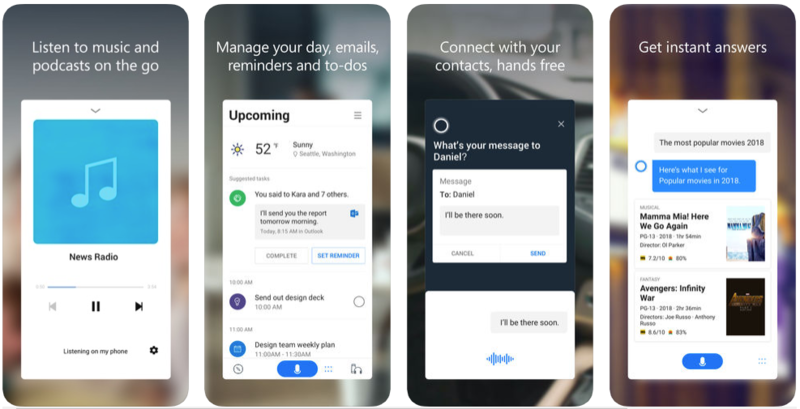 The Android app delivers the same experience of desktop app on your phone and has emerged to be one of the top AI-enabled Personal Assistants today. Cortana might work as a multi-tasker for many of those who need more than information and need aid in certain actions that require more human efforts and focus. For instance, you can schedule your meetings using Cortana and instruct the app to handle and manage it for you. Cortana can even rummage through your emails to tell you about exactly when your next package is to arrive. Nuance’s Dragon Mobile Assistant is perhaps the surprisingly sophisticated mobile personal assistant app designed to amaze lovers of artificial intelligence. Some outstanding help factors and abilities make Dragon mobile assistance more stunning than its competitors like Cortana. With Dragon, you can perform almost all the actions Personal Assistant app usually supports. Dragon, however, also helps submit posts to Facebook or send tweets on your behalf using your informational inputs. It can help you manage your meeting schedules and events reminders and appointments across the calendar. What makes Dragon Mobile Assistant a singular app is its ability to recognize only your voice so that no one else can give spoken command on your behalf. In “Attentive Mode”, the Assistant still listens to your inputs even when your device screen is turned off. You will realize Indigo Virtual Assistant is unlike other Personal Assistant apps once you start using it on your Android device. It offers fun and amazing way of performing daily tasks and activities. Indigo Assistant allows you to interact with it as if you are talking to a human. 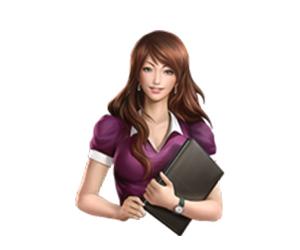 What is more, the Personal Assistant goes more personalized as you enjoy its personal opinions on discussed matters. 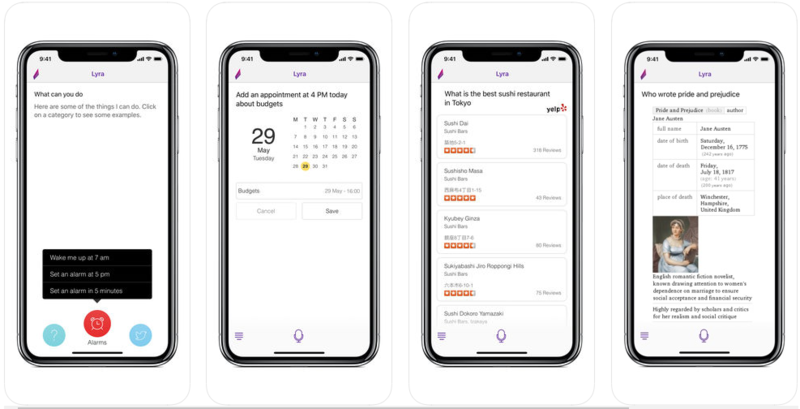 To your surprise, the Voice Assistant also reads headlines for you, shares jokes, controls and plays your music, keeps eye on calendar, sets and schedules reminders, finds restaurants, suggests travel options, translates, guides for directions, and does much more. The home button enables you to open Indigo and access contacts. 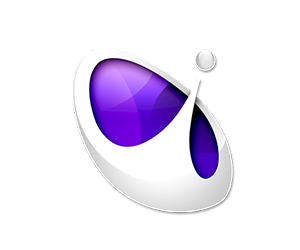 Play videos, music and search for your favourites with Indigo. 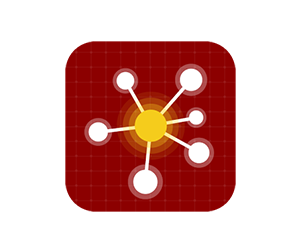 It remembers your task history and gives you quick access to frequently performed tasks. 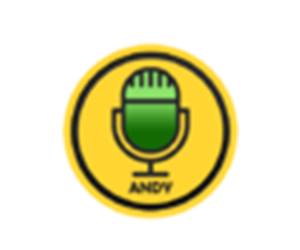 You can make it look for specials and information on Google, Bing or Yahoo using your voice, and it will scoop up the precise answer to your specific requests. Robin is there for you. You can use its voice-to-text facility or ask for local information at times of emergency. 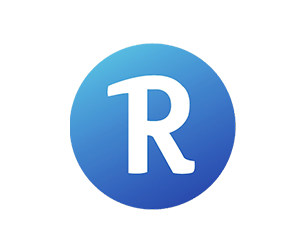 Robin Voice Personal Assistant comes handy especially when you are lost somewhere and seek accurate information about directions, or parking, traffic status or nearby gas stations. A great alternative to Siri, Robin is your best companion when you go out to explore uncharted regions without a map in your car. Like other Personal Assistant apps, it also helps with reminders & alerts, event management, meetings, weather updates, news, parking space, gas prices, etc. You can even text hand-free with your voice. The best part about Robin is that it will listen and learn from you, and eventually adapt to your frequent requirements. The Personal Assistant AI Apps is fun and treats you really well, personally. Ever so friendly, Robin assists you like a real person and also responds to your gestures. 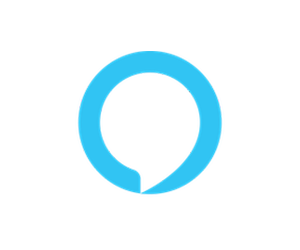 Ozlo is a simplified Personal Assistant AI Apps designed to help you with your questions using Chat robot system. You can toss your requests and view responses from Ozlo on your phone directly. More specific the content of your question is, more accurate the results reflect. As you enter Zip code upon launching Ozlo, it will process to help you with the weather forecast and other important local feeds. You can type a text message and the assistant will reply with more than a dozen of choices, just like other famous Personal Assistant apps. It is easy to find quick answers related to movies, important future events, places to eat, recipes, and travel and booking availability, and in return you receive a list of options. The biggest limitation is that you can’t speak questions and users need to type it on their device. Also, you can’t use Ozlo to send someone a message. 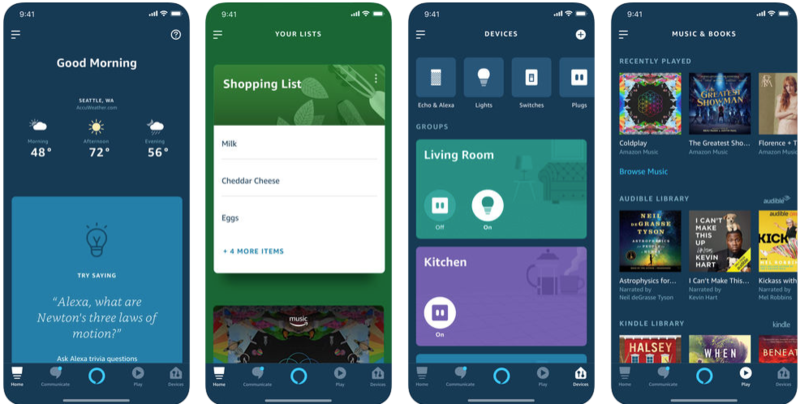 Alexa, the digital assistant from Amazon, launched in 2014 can provide results for website searches, search products from Amazon and also act as a hub for compatible IoT devices. 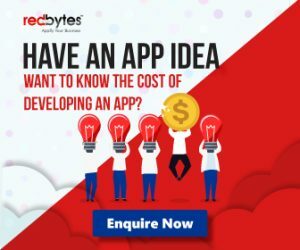 Being a prime example of machine learning it is one of the most successful app for consumer-based needs working under artificial intelligence. Get movie show times, sport schedules etc. With Alexa, sales is drastically increasing for Amazon and its clearly visible that its actively changing the way we apprach computers and internet in our daily life. 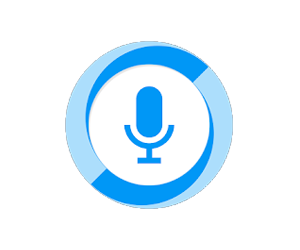 It is one of the most popular voice assistant for Android which can find informations, set alarms, launch apps and even connect you to different web services. This AI is supported by both tablets and smartphones. App is available in different languages including: English, French, German, Italian, Korean, Russian, Spanish, Portuguese etc. On the whole Assistant- Your Voice Aide app can help understands, cares, reminds, speaks your language, learns and is always at your service. 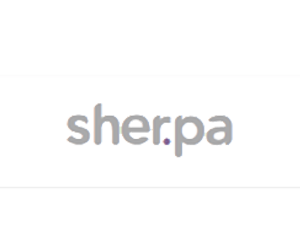 Sherpa is yet another cool AI like Siri that will speak to you using a female voice. 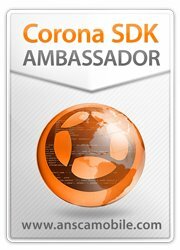 It is the first personal AI developed for Spanish users and also supports English speaking regions. With some positive and negative features, this is also one to give a try. This is one of the most fun filled virtual talking AI at your service. It has a lot of features and comes with an upgradable module feature. 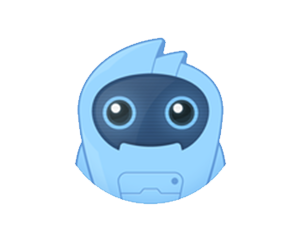 Overall, data bot assistant is an awesome app that will definitely help you put in a lot of work in ease. It is an intelligent personal assistant, voice control software and a knowledge navigator for Android devices. 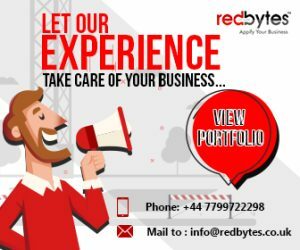 It would answer your queries without any hassle and even help in performing tasks like sending text messages, calls, email etc. It covers almost all wikipedia information and also answer queries related to weather, algebra etc. Curate information about places, celebrity’s etc. Provides interesting facts based on science, medical, etc. This is one of the fastest and smartest voice based digital assistant. The app is so fast that it can produce real-time translations of whole sentences in different languages. Search, discover and play music, get details on movies etc. With a very negatives, Hound is surely one of the best AI for Android apps and will certainly improve much better on its way ahead. These are some of the celebrated, and high-rated Android Personal Assistant apps you can be excited about at the moment. Of course, there are more options available for Android devices, but these are top on the list. Which app appeals to you and is destined to stay longer on your mobile screen depends completely on users’ needs and specific tastes. 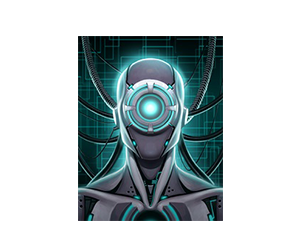 Android developers across the globe are curiously occupied improving the AI based Personal Assistants. So, as the technology evolves, we are likely to meet more phenomenal mobile apps in the world of digital Personal Assistants in future.